Stamping nail art is one of my favourite nail art to do because it’s relatively easy and you can make beautiful designs with it. 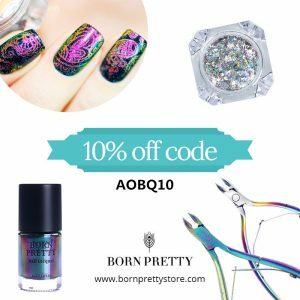 There are A LOT of tools available for nail art stamping and today I’ll be sharing a few options from Born Pretty Store. Unfortunately they don’t carry this butterfly plate anymore, but they have a huge selection of plates so I know you’ll find something that suits your style and needs. For the stamping, I have two clear stampers. 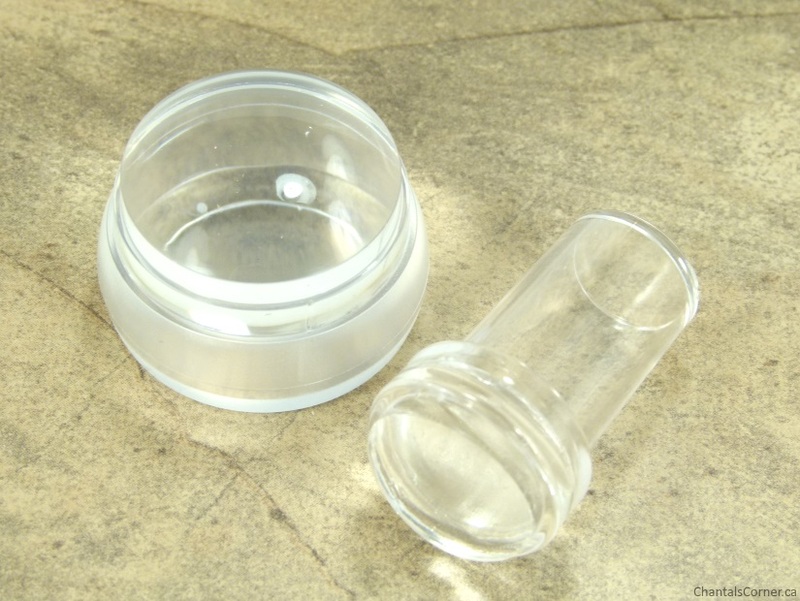 I have a small 2.4cm clear jelly stamper that I bought myself and I received a 3Pcs/set 3.5cm Clear Silicone Jelly Stamper with Cap Chess Design Nail Art Stamper & 2 Scraper ($6.64 CAD) to try out. Both stampers come with a scraper, but the big one has a better scraper (it’s the mini card in the first picture of this post). 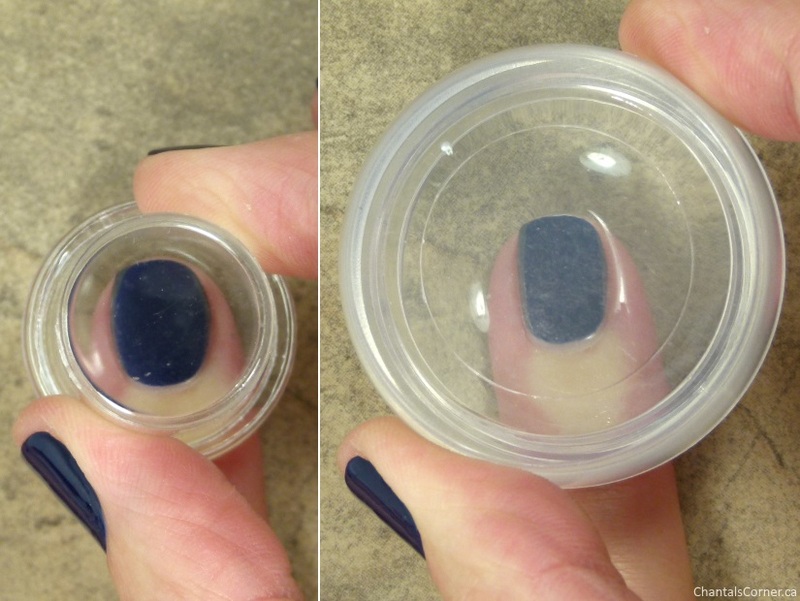 What’s nice about the clear stampers is that you can see your nail through it so you can position the stamp exactly where you want it. I have only used the big stamper so far and I don’t see myself reaching for the small one; the big one is just perfect! I can’t believe I waited so long to try a clear stamper, it makes such a huge difference!!! 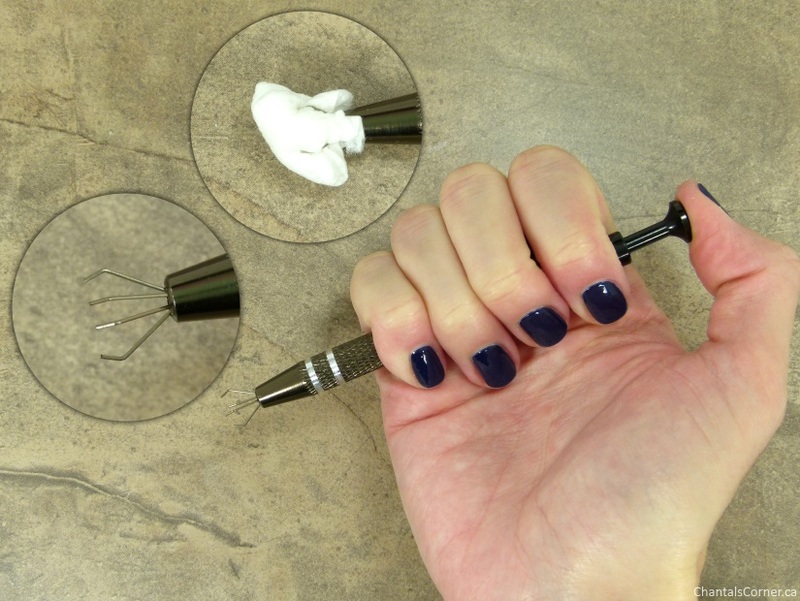 And then we have the manicure saver cotton claw ($7.54 CAD). This is to grab cotton balls to help clean your plate between each stamp. I don’t use cotton balls, I use face cotton pads, but this works just as well with those. I cut them up in four and the claw grabs a quarter easily. There’s nothing worse than being in the middle of your manicure and messing up a nail cause you touched the cotton ball to a nail by accident and the acetone stuck to your nail polish. I’ll never stamp without this claw tool now! I realize that I included the nail polish in my first picture, but I will talk about that in my next post with the stamping nail art. 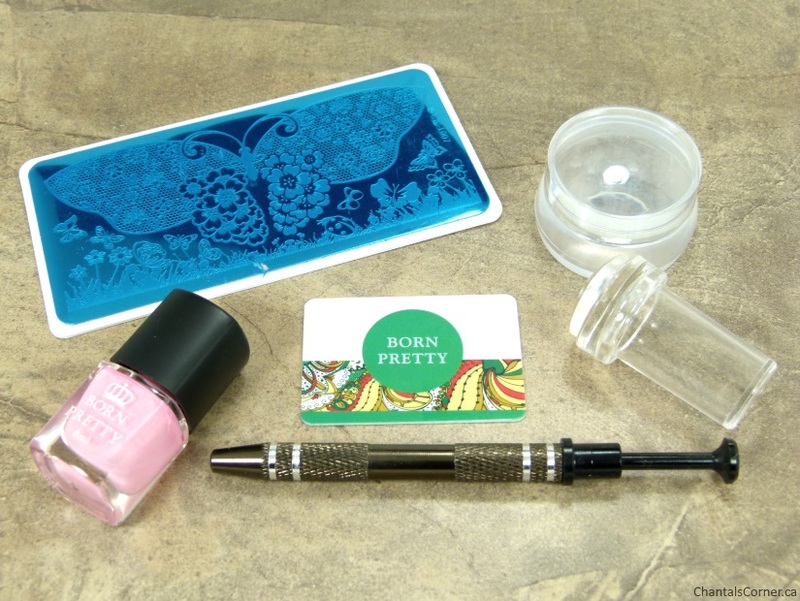 Out of these items, the big stamper and the claw tool a new must-haves for me when it comes to nail art stamping. I definitely will not stamp without them from now on! 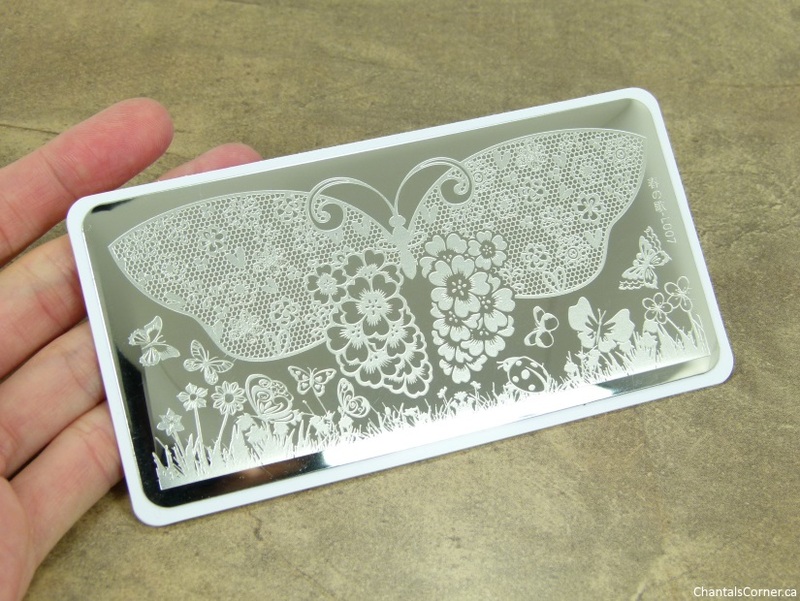 What are some of your stamping tools must-haves? UPDATE: Take a look at the nail art I did with these items.